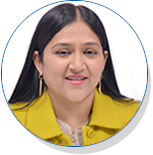 Hemamalini Nidamanuri is the Founder & Managing Director of Champion Infometrics Pvt Ltd. She is Responsible for streamlining processes and enabling growth !! Her Entrepreneurial passion has got the company to where it is today!! Nataraj is the Chief Information Officer at Champion InfoMetrics, he provides leadership for continued development of an innovative, robust, and secure work environment throughout the organization. He and his team constantly strive to excel in business strategies that maximize people performance and productivity across profiles. Nataraj routinely shares his insights in optimizing business results through the use of innovative technology, developing world-class global teams, fueling transformation, and enabling organizational excellence. 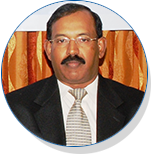 Sir Govind is the Chief Human Resource officer at Champion InfoMetrics. He is responsible for driving profitable growth and enabling operational excellence across all business verticals. 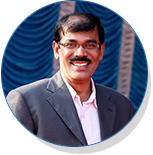 Govind is known for his strong track record in operational excellence, innovative problem solving, and leadership enhancement. His, innovative approach to business solutions has been a pillar of strength to the HR Team and resulting in great synergies across the organization. 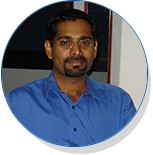 He has played a vital role in the formation of the Organization. An exceptional leader who leads without a title, Sir Govind continues to help all the Champions to grow and reach greater horizons of success. Suresh Thomas heads the marketing team at Champion InfoMetrics. Known for his leadership skills and calm demeanor. His never say die attitude has brought in a lot of laurels to the organization and has paved the path of success to many individuals. An expert at marketing analysis, business strategy and online brand development, his expertise has enabled various organizations protect their online brand footprints. A people's manager, Suresh goes beyond ones expectations to deliver the best and believes that the best is yet to come! Champion InfoMetrics | 2019 ALL RIGHT RESERVED.